Authentic Thai cuisine is no longer hard to find in Taipei thanks to changing tastes and more outbound tourism. The Taiwanese have always been ambivalent about spicy food. Some Taiwanese revel in the explosive effects of chili peppers on the palate (consider the popularity of spicy hot pot here), but just as many balk at the hotness. Given the traditional aversion to spicy and sour food, it is no surprise that Thai cuisine didn’t become an overnight favorite on Taiwan. 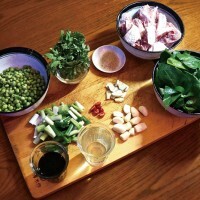 Thai cuisine thrives when the flavors of sour, salty, sweet, spicy, and umami (savory) are in harmony. You can’t just axe the sour and spicy and expect it to be tasty. When I first arrived in 2004, Thai restaurants were scant, and authentic Thai food almost non-existent. There was the newly opened Thai & Thai on Dunhua North Road, but then, like now, the restaurant kept a low profile. I only discovered it this year courtesy of the Michelin Guide. When I did eat in Taipei’s Thai restaurants, I was dismayed. Red chicken curries, normally bursting with the flavor of red chilis, lemongrass, fish paste, and ginger, were all coconut milk and overcooked chicken breast. The illustrious Thai papaya salad – made from shredded, unripe green papaya, dried shrimp, fresh lime juice, fresh chilis and fish sauce – tasted bland, like a fruit salad from Starbucks. Fourteen years later, those fake Thai restaurants still exist. I made the mistake of ordering takeout from one a few weeks ago, against my better judgment. The chicken satay, the aromatic grilled chicken sewers that are a staple of Thai street food, had the consistency of shoe leather, accompanied by a flat peanut dipping sauce that tasted like microwaved Skippy. Fortunately, today such eateries are more the exception than the rule. Young Taiwanese, many who have traveled to Thailand on holiday, are quite willing to try authentic Thai food, says Chao Chun-teng, the long-time restaurateur who runs Thai & Thai. “They come here and they want to eat the same type of food that they enjoyed when they traveled to Thailand,” he says. In recent years, outbound tourism to Thailand has grown steadily. Through October, 564,971 Taiwanese had visited Thailand in 2018, up more than 22% year-on-year, according to data compiled by Taiwan’s Tourism Bureau. In 2017, 553,804 Taiwanese traveled to Thailand, up from in 532,787 in 2016. 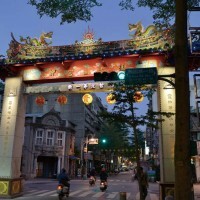 In Taipei, it is now possible to find restaurants serving authentic renditions of both of Thailand’s best known culinary styles: street food and imperial cuisine. Street food consists of the dishes served in stalls throughout Thailand – for example, satay, papaya salad, and simple curry dishes over rice. Imperial Thai cuisine is derived from the once-secret recipes of the Thai royal family. The dishes include many of the same ingredients used in street food, but are more elaborate, sometimes featuring ornate fruit and vegetable carvings. The understated elegance of Sukhothai, which is furnished with dark wood flooring, plush gray velvet seats, and large busts of Buddha radiating serenity, makes an ideal setting for exploring Sillapakit’s refined Thai cooking. Her crispy sand goby (沙蝦虎魚), deep-fried and brimming with the essence of lemon, tamarind, and chili, is melt-in-the-mouth delicious. The palate first detects the savory, salty, and sour flavors, and then the sweetness (from the tamarind) and spiciness kick in. Don’t take too large a bite or you’ll choke on the chili. Sillapakit based this preparation on popular meat dishes from northeastern Thailand but uses fish to make it lighter. “The flavors work well with the sand goby, which is plentiful in Taiwan and a popular fish among locals,” she says. Among her royal Thai dishes, be sure to try the Fresh Shrimp on Rice Crisps with Minced Pork Peanut Sauce. The rice crisps will remind Americans of a thinner, more refined and delicate version of a Rice Crispy Treat – except with juicy shrimp and fragrant peanut sauce on top. Another royal dish not to be missed is Beef Massaman Curry, which is pungent but not fiery. Instead of red or green chili peppers, massaman exudes cumin, coriander, cloves, nutmeg, and cinnamon. 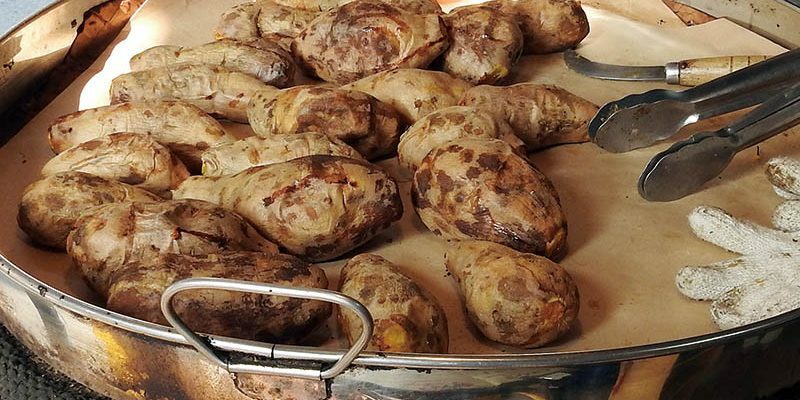 It’s not far removed from Indian curry and may well have originated in South Asia, experts say. In Thailand’s Muslim south, massaman curry is often made with succulent lamb – an even better match for the flavors than beef. Luckily, Sukhothai plans to put a lamb version on the menu soon. For those hankering for simpler Thai food, Sukhothai does not disappoint. In fact, the restaurant has a knock-out chicken satay – maybe the best in Taiwan – but the most recent version of the menu swaps it for an equally outstanding skewered pork tenderloin, sliced thin and bathed in a slightly sweet soy glaze. Sillapakit says the pork skewer may actually be more authentic Thai food than the satay, which originated in Malaysia or Indonesia and eventually made its way over to Thailand. 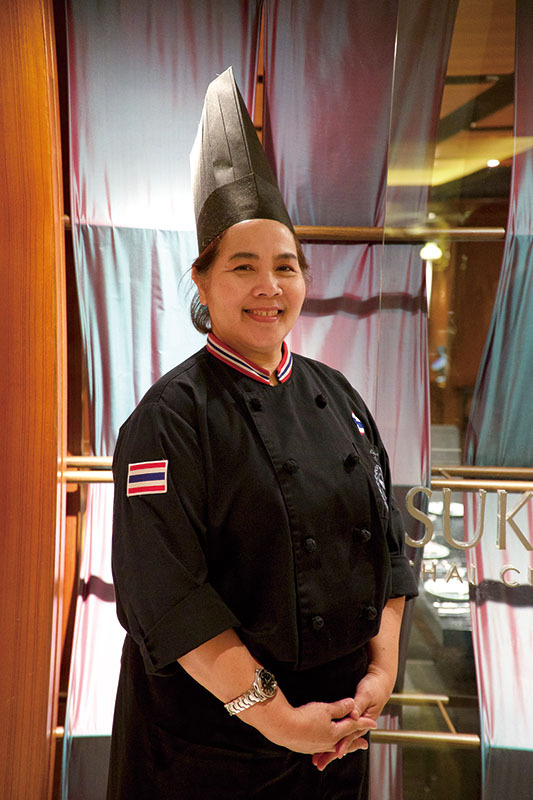 Chef Sillapakit has been at Sukhothai since 2013, but she started her culinary career in Taiwan at Thai & Thai in 2003. She departed when the restaurant closed temporarily about a decade ago. 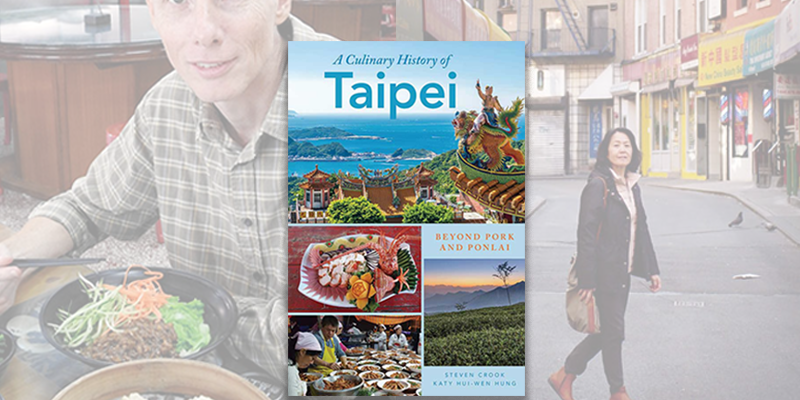 She later cooked at a number of high-end Thai restaurants throughout China, but eventually returned to Taiwan, frustrated by the difficulty of importing key Thai ingredients into the PRC. Thai & Thai ultimately reopened in the upscale Arcade mall adjacent to the Mandarin Oriental hotel, and continues to work with top-tier Thai chefs, says Chao Chun-teng. The owner of the restaurant, a Taiwanese who grew up in Thailand, is reputed to be a gourmand and great appreciator of Thai cuisine. Chao himself is no slouch when it comes to Thai cuisine, despite having the curious official title of “engineering director.” During my most recent visit to Thai & Thai, he asked the chefs to whip up two different versions of Thailand’s famed Pad Kra Pao, which translates to “Stir-Fried Pork with Holy Basil.” One of the versions of the dish is made with ordinary basil leaves. You’ll see basil in Taiwan cooked with stir-fried clams or offered as a garnish for savory scallion pancake, a popular local street food. The Pad Kra Pao with ordinary basil is tasty, but lacks the punch of the version with holy basil. Native to the Indian subcontinent, holy basil (commonly known as thulasi) is spicy instead of sweet. It imbues the stir-fried pork with a pungent, faintly bitter taste. The variant of the dish cooked with basil tastes sweet by contrast. “When freshly picked, the aromatic leaves [of holy basil] hold a spicy, peppery bite and a delicious combination of basil and mint flavors,” according to the Thai Food and Travel website. 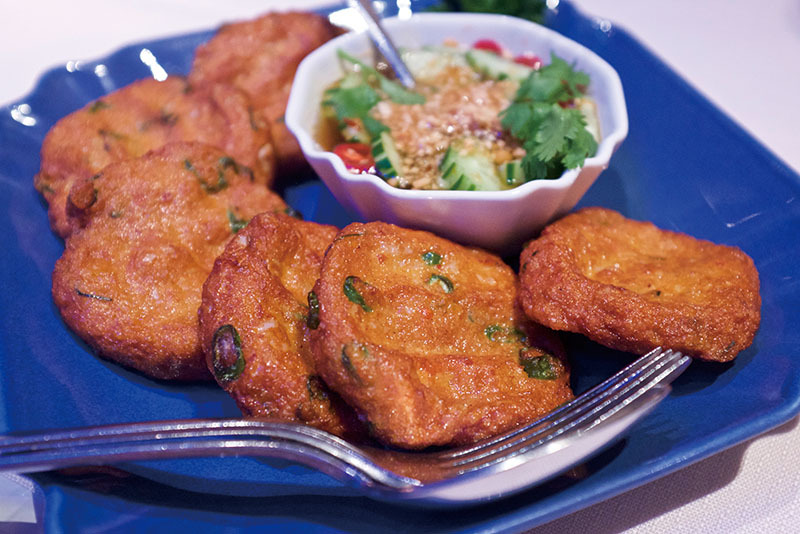 A signature dish at Thai & Thai is Deep-Fried Shrimp Cake, which the restaurant says it created. 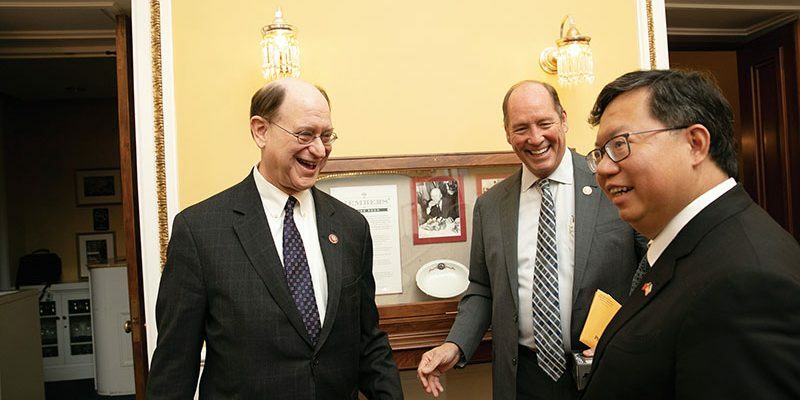 Traditionally, the dish didn’t exist in Thailand, although now it’s becoming more common, Chao says, adding that it’s a favorite of Taiwanese diners. 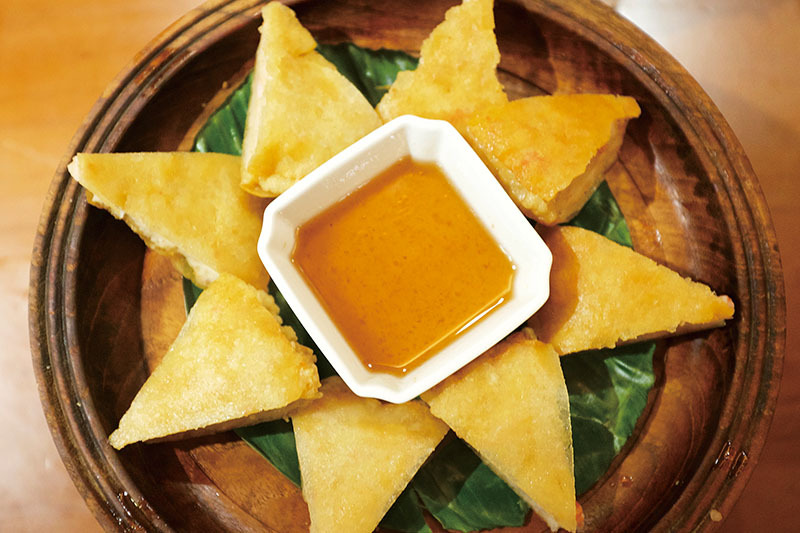 Made of minced shrimp and fatty pork deep fried to a golden brown, it’s much heavier than the typical Thai appetizer. Genuine or not, the shrimp cake is so popular in Taiwan that it’s on the menu of virtually every Thai restaurant on the island. Less authentic restaurants tend to skimp on the shrimp content, says Chef Ya, a native Thai who’s the head chef of the Thai Made restaurant in Taipei. 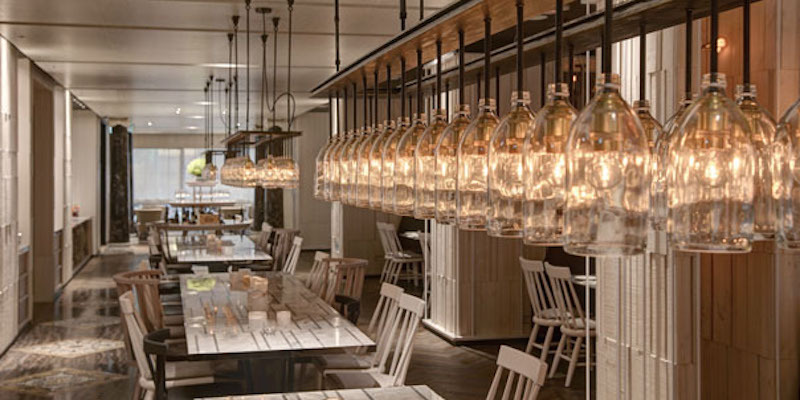 Compared to the upscale environment of Sukhothai or Thai & Thai, Thai Made is decidedly more modest. Service is efficient if occasionally hurried, but the servers can’t be blamed: The place is usually packed in the evening. Make sure you book in advance. Anyway, the focus here is on the food. 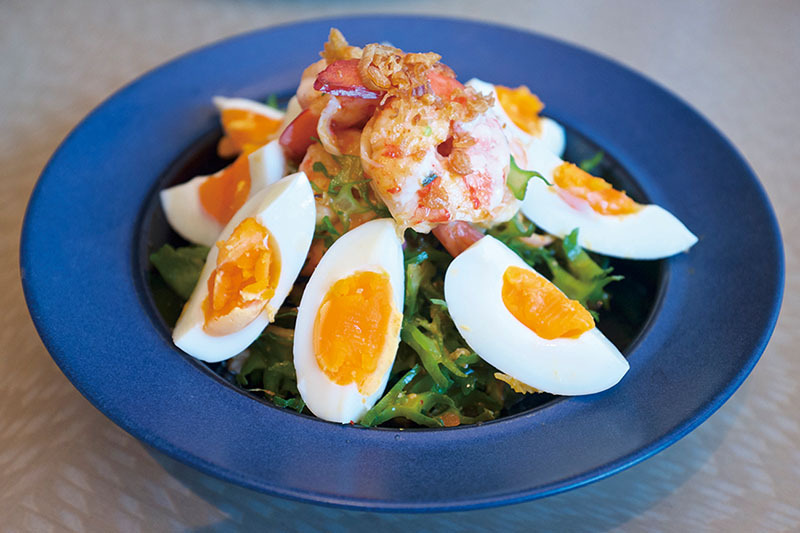 “We aim to bring the best Thai street food into a restaurant setting,” Ya says. And there’s plenty of it: papaya salad, beef salad with lime and lemongrass, skewered meats, all different types of red and green curries, and of course, the deep-fried shrimp pancake. Meanwhile, on a menu as big as Thai Made’s, not everything is street food, even if it’s not technically “royal Thai cuisine.” Highly recommended is the fragrant Steamed Sea Bass with Lime, Garlic and Chili Broth; Matsusaka, a succulent roast pig dish from northern Thailand; and Deep-Fried Softshell Crab, which makes one wish that all crabs had edible exoskeletons. 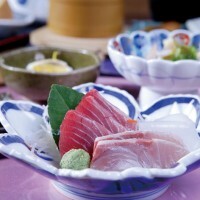 This entry was posted in Wine & Dine and tagged cuisine, Food, Taipei, taiwan. Bookmark the permalink.